Select Tool specializes in gauges, check fixtures, automation, and specialty tooling for the automotive industry and beyond. We are a trusted full-service supplier to major OEMs, Tier 1, and Tier 2 suppliers. We are headquartered in Windsor, Ontario with a facility in Queretaro, Mexico. With our dedicated team of Program Managers, Engineers, Technicians, and Tool Makers, we have the depth of experience to deliver projects that meet or exceed customer expectations consistently. Our gauges and fixtures are products of a trusted, meticulous design and manufacturing process. 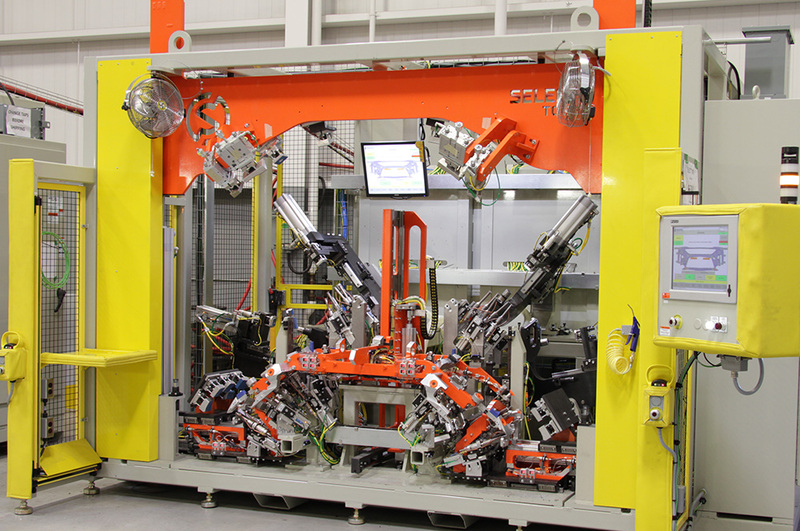 Select Tool’s automation cells and systems are designed and built to customer standards and requirements, with significant emphasis on safety, ergonomics, and cycle times. Select Tool is an established organization that provides full design and manufacturing solutions. We are NSF ISO 9001:2008 registered.